Business description - Kids Medical Systems is engaged in providing solution in healthcare sector as pediatric clinic chain provider. The company offers exclusive services which can benefit the child for theirhealthcare needs. 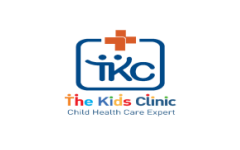 Kids Clinic (TKC) is a venture of "Kids Medical Systems Private Ltd" started in June, 2013 and the company has launched its first ― pediatric clinic chain. It partners with doctors at a clinic/premise level. It also offers services which can assist and help doctors to manage, educate and develop their clinic, its infrastructure, its people and most importantly also provide guidance in services to parents of the child. The company’s overall output is purely focused on delivering great health services by using technological platforms to connect the audience with the doctors and vice versa. It started from one clinic in Dombvilli (Thane District- Maharastra) and reached to 15 Hospitals/Doctors with whom it entered into Management Partnership/Franchisee agreements/Revenue sharing arrangement till date. Kids Medical Systems IPO allotment status is now available on Purva Sharegistry's website. Click on this link to get allotment status.